September is Food Literacy Month! You are here: Home » September is Food Literacy Month! Can Whatcom’s Small Farms Help Reconstruct Our Local Food System? 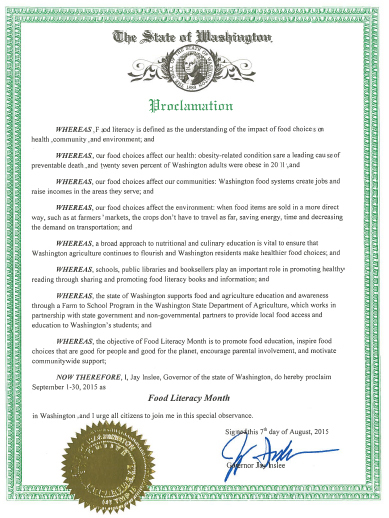 Governor Inslee has proclaimed September 2015 as Food Literacy Month. The Proclamation affirms the importance of food education and the value of farm-to-school programs.